1. Cut your cord into 6 pieces. (I cut mine 55 inches long but next time if you want it to be longer try 75 inches) Tie a knot around 6 inches in and this will be the base of your plant hanger. 3. 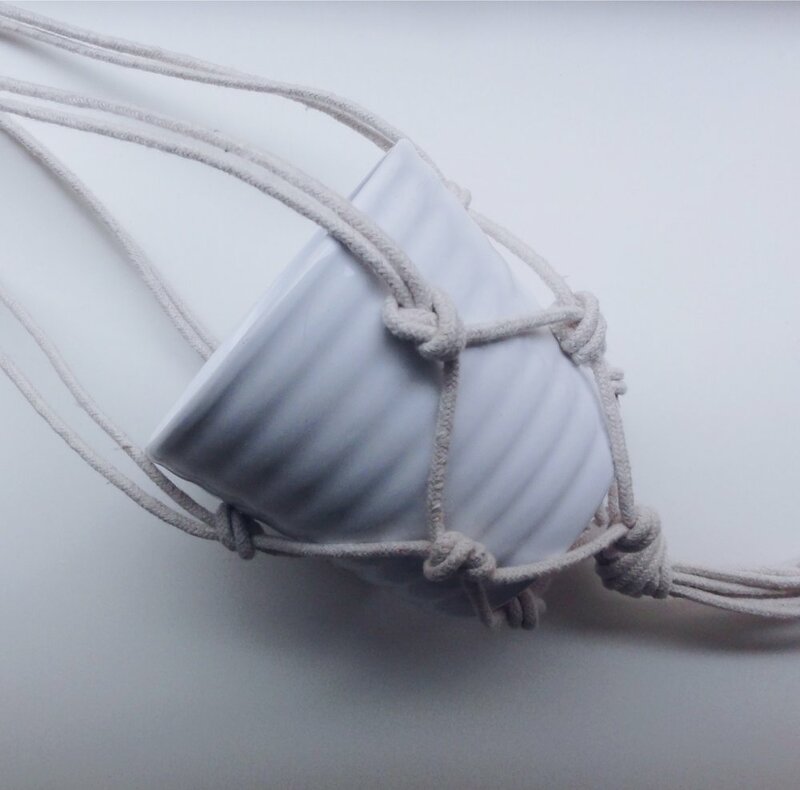 Tie each pair into a knot at the edge of the plant pot. 5. Tie the newly created adjacent pairs into knots. 7. Create spiral knots with each pair. 2. Pair off the pieces and place them at the base of the plant pot. 4. Lay the ropes down and separate the pieces to create adjacent pairs. 6. Repeat steps 4 and 5, then slip onto plant pot. 8. Tie a knot about 10 inches up from the spiral knots. 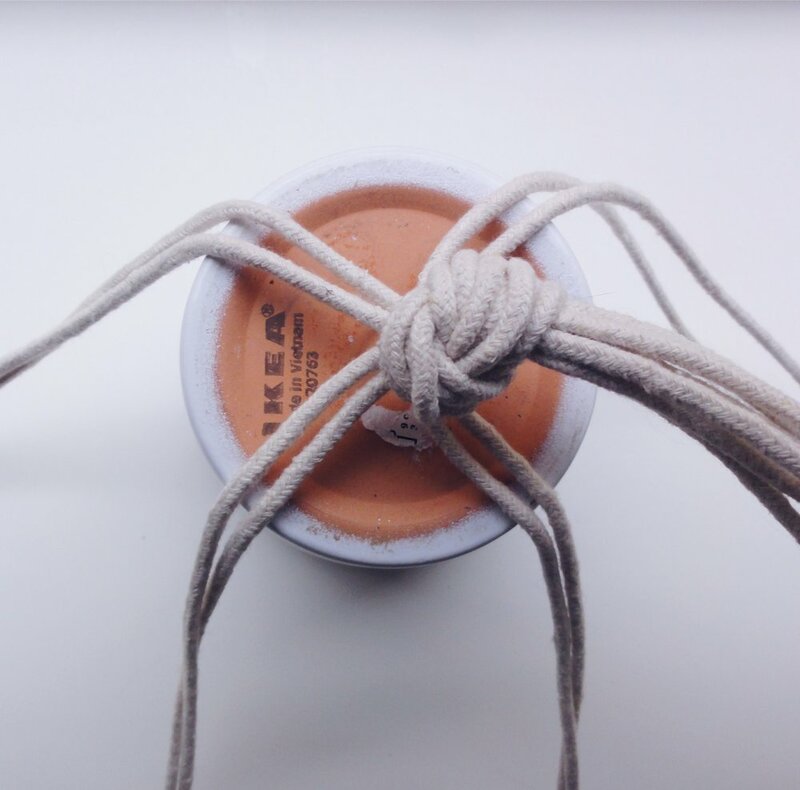 Create a square knot with the remaining cord pieces. This was probably be one of the more complicated knots but once you get the hang of it, it becomes simple. 9. 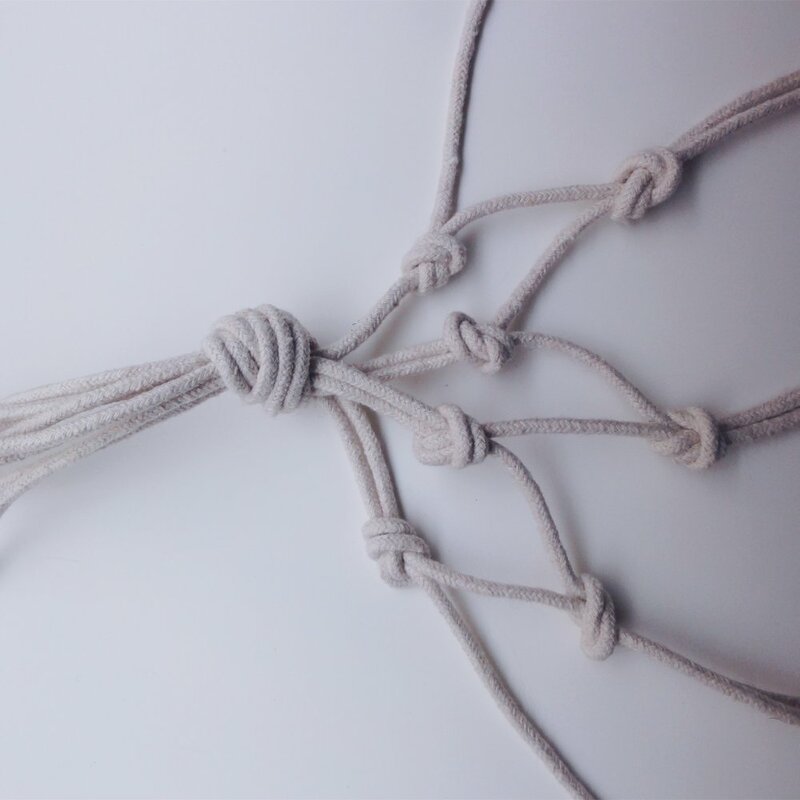 Tie a knot at to finish your beautiful macrame creation. Admire your creation. Remove the pot from the hanger when you have a plant. Place a plant into the pot then carefully place the pot into the hanger.